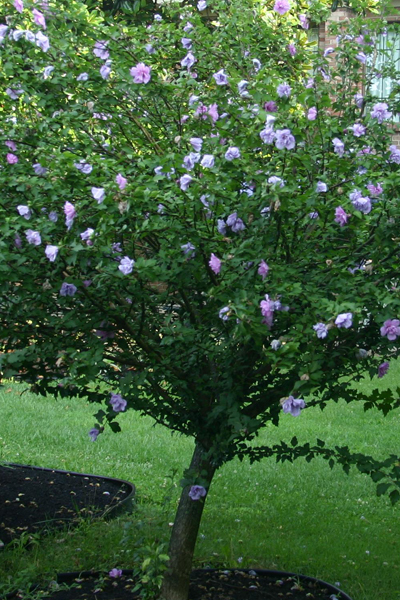 8-12′ erect shrub or small tree with numerous upright branches. This plant flowers July through September. Althea will tolerate moist soils, full sun, and is pH adaptable.